United Airlines seriously screwed up this week in handling the backlash against the bloody, ugly forced removal of a passenger from one of its flights. Everyone from Jimmy Kimmel to airline brands attended its mirthful Twitter roast, and along the way, the company lost almost a billion dollars in one day. That much is clear. What's still less clear -- at least to passengers like you or I who might be flying soon -- are the rules airlines and passengers ostensibly agree upon when they sell and buy plane tickets. That was a contributing factor to the incident that a bill introduced today by Sen. Chris Van Hollen of Maryland seeks to address. To understand it, though, let's go through the passenger-airline relationship and how it works. Congress passed the Airline Deregulation Act in 1978, a move that, among other things, placed regulatory power for commercial air travel in the hands of Department of Transportation, with power over safety and air traffic control remaining in the hands of the Federal Aviation Administration. The DOT enforces consumer protections against the airlines, acting as a go-between when a passenger's rights are violated. Those protections include everything from regulations around how fees are labeled and printed, how passengers are notified of delays or route changes, what happens when an airline loses your luggage, and more. 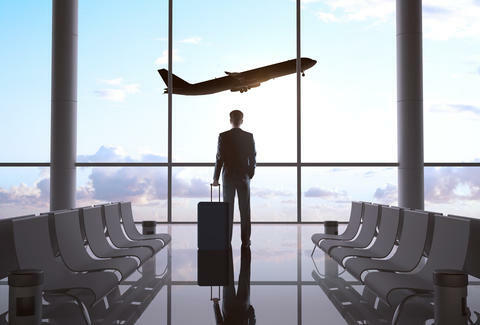 However, as travel lawyer Alexander Anolik pointed out at the American Bar Association: "Passengers cannot sue the airline themselves and instead must rely on the DOT to enforce the rules." The DOT does that, but it keeps the penalty money and, additionally, only operates within the bounds of what it's empowered to do by Congress -- that's why Van Hollen's new bill is important. Called the “Customers Not Cargo Act,” it would prevent airlines from booting passengers after they've already boarded a flight in cases of overbooking or if the airline needs the space to transport its own employees. “It is outrageous that airlines can bodily remove passengers after boarding rather than providing appropriate incentives to encourage volunteers," the Maryland Democrat wrote in a letter to his Senate colleagues. The bill would update a DOT rule that details what a passenger is entitled to if they voluntarily choose to be removed from a flight (more on that below), but that's still not the end of the equation. DOT rules and laws aside, the real document to pay attention to is the "contract of carriage"
you're "both blind and deaf, unless such passenger is able to communicate with representatives of UA by either physical, mechanical, electronic, or other means"
If all of this sounds like a bit much, it's totally totally legal and standardized. (It also includes stuff like concealing weaponry, which would be covered by federal law.) All the major airlines have a version of this document, and as Anthony Sabino, a lawyer from Mineola, NY, explained to USA Today, "There is no constitutional right to get on a plane." The last two parts of the United contract's Rule 21 make it clear that it's not responsible for you if you do anything to go against these contracts. That was likely part of the calculus that led to such a muddy response from United's CEO in the first place. People get kicked off planes all the time, for reasons like refusing to stop playing Words With Friends in Alec Baldwin's case, to telling Ivanka Trump her father "is ruining the country," to the 10-year-old who wasn't allowed to fly United last month because she was wearing leggings. Social media backlash or not, decisions like those are mostly protected under these contracts. United's states that the passenger who breaks the rules "consents and acknowledges that he or she shall reimburse UA for any such loss, damage or expense." At that point, you're at the mercy of the airline. If you reach your destination between one and two hours after the original flight was scheduled to land (two and four hours on an international flight), you get cash compensation equal to 200% of the ticket price with a maximum of $675, plus a refund on the purchased ticket. If you're rebooked and land more than two hours after the scheduled arrival time (four hours on an international flight), you get cash compensation equal to 400% of the ticket price with a maximum of $1,350, plus a refund on the purchased ticket. Either way, flying on an airline's plane is still a binding contract. If you're worried about it, be sure to read the fine print.